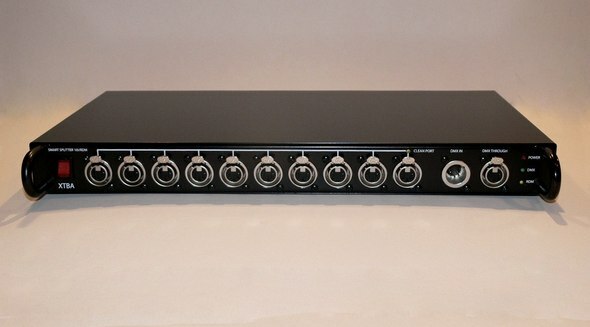 The XTBA 10i/RDM is a one in ten out (with loop through) DMX/RDM splitter packaged in a 1U rack case. It provides full RDM functionality for devices connected to its outputs. The ten outputs are fully opto isolated and rebuffered.